1• Because all Chrysler-Dodge Service Manuals are unique for EVERY year . 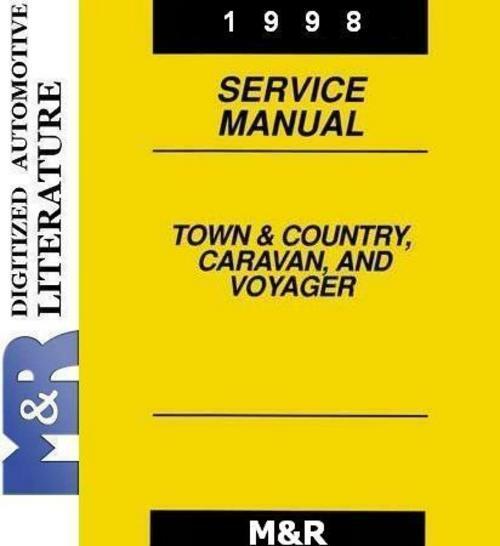 Every year Chrysler publish an other Service Manual for each car with all minor or major differences from the past year car . Is easy to you understand that all others that they sell manuals for 2 or more years they said LIES . 2• Because each chapter is with his title bookmarked and not with code file names as are ALL others Manuals that are for sale in internet . 3• Because is one full and right bookmarked PDF file and not 30 separate files inside a zip file . 4• Because each file is checked and reorganized to be a very useful PDF. 5• Because all links in every page works right and drives you in the correct page . involved in daily repair operations. you need, look up the Component/System in the alphabetical index located in the rear of this manual. replacing fasteners, always use the same type (part number) fastener as removed.